studies, seven propositions are presented. projects. This interest exists with companies considering getting into (or continuing to invest in) data warehousing as well as consultants and vendors who want to sell their products and services. with data warehouses (McWilliams, 1996). survey data to provide insights in the form of propositions about the approval and assessment processes for data warehousing projects. provides a list of typical cost categories and cost examples in each category. business value and ROI can be found. A common way to assess the tangible (e.g., quantifiable) benefits is to compare the current (i.e., baseline) state to future state (which assumes that the warehouse is in place) (Whittemore, 2003). decrease in attrition is translated into profits. costs. Therefore, it is not surprising that vendors and companies have recently focused on data mart consolidation, cost-cutting measure. the accuracy and credibility of all of the estimates brought into question. horizon), and payback period (Whittemore, 2003). period (IDC Report, 1996). This average return excluded failed projects as well as exceptional performers (both good and bad). the ROI for proposed data warehouses. decreased costs or increased revenues (Whiting, 1999). It is difficult to assign value to the warehouse in isolation from the value created by other people and processes. Using ROI has its critics. 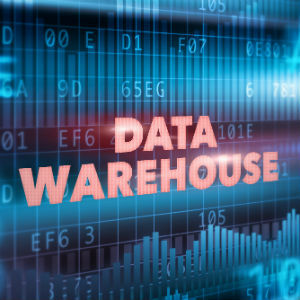 For example, Bill Inmon (2000) argues that, in many cases, the returns from data warehousing cannot possibly be known until the warehouse is completed and in use. insights that are valuable to the organization. The benefits resulting from their mining can only be known after the fact and can vary considerably. survey findings are presented in Table 3 and provide insights about the approval process. The total of percentages does not equal 100 percent because the categories are not mutually exclusive. relationship management) or to address general (e.g., improve information reporting) or specific (e.g., supply chain) information needs. success of the warehouse may be so obvious that management decides that there is no need to spend the time and money on a formal review. warehouse is in place is greater than in the pre-development phase. This is not surprising since firms have actual (instead of projected) experiences on which to base their calculations. additions and enhancements to the warehouse are approved, and the ROI measures that are employed. million acres of timberlands in the U.S. and its operations extend throughout North America, Australia, New Zealand, and Brazil. warehouse are a “must have” item for many managers. The business units pay for enhancements to the warehouse. Rather than calculating an ROI for the warehouse, business units justify warehousing-related expenditures in their budgeting processes. Because they pay for them, the business units do their own assessments of their value. A chargeback system is used to prorate the fixed costs of warehouse maintenance. Virginia, Mississippi, Arkansas, and Louisiana. decided to compete on the basis of knowing its customers better than the competition did. not made for the warehouse. Because the warehouse was a requirement for executing the business strategy, the warehouse had to be built. Without it, FAC would not survive. paperbacks a year in 23 languages in more than 100 countries. Its parent company is Torstar, publisher of Canada’s largest newspaper, The Toronto Star. 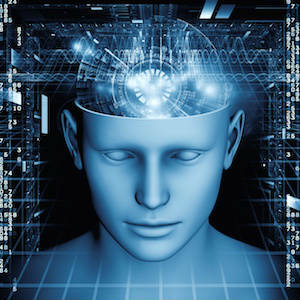 strategic assessment of the firm’s systems and recommended building a data warehouse. the benefits from the marts are so obvious. Based on the initial success, there are plans to expand the marts into an enterprise data warehouse. warehousing and customer relationship management (CRM) to build brand loyalty. would operate in an integrated manner rather than as separate properties. Harrah’s casinos, and makes the data available for operational and other analytical purposes. savings) and costs associated with the project, including any incremental costs of expanding the data warehouse. felt that an enterprise data warehouse would provide information to better support decision making throughout the organization. improvements would be a reality. The pilot allowed the business users to demonstrate to the business executives that the benefits would exceed the investment. constantly looking for quantifiable examples of how the warehouse has benefited users and the company. Imation, headquartered in Oakdale, MN, is a leading developer and manufacturer of removable data storage products sold in more than 60 countries. Imation’s offerings include magnetic and optical products that are a key ingredient in much of the world’s technology infrastructure. information was so obviously needed. Consequently, no ROI calculations were made. would be using the warehouse and asked them to identify and commit to the benefits that they would derive from the warehouse. These business units were the co-sponsors of the warehouse. system. In addition, the ERP infrastructure could not support the additional burden of ad hoc querying and reporting without significant upgrades. performance indicators and improve business processes. These projects would be much more difficult and expensive to accomplish without the current data warehouse. prominent teaching hospital and research center for the state of Texas. warehousing efforts as well as to support the continued needs of collecting disease information. analysis and reporting of patient data, satisfying the ever-increasing demand for information was difficult and time-consuming due to data sources being scattered across many disparate systems. projects that supported both operational and research needs. IT projects; an executive level IS Steering Committee approves funding. Among several criteria for project review (both internally and at the state level), ROI determination is a requirement. vehicle of information to the organization. To expand the access delivery of information directly to operational and research staff, the implementation of business intelligence tools is underway. focuses its attention, as it did in the past, on the value to the institution and the timeline for the proposed work to balance added value with a quick return on benefits. suppliers, stores them in 50 distribution centers, and sells them to more than 4,000 hospitals, integrated healthcare systems, and group purchasing organizations. key to decreasing inventory costs and increasing sales, and has helped OM become an industry leader (Eckerson and Watson, 2000). conservative in making estimates. A post implementation assessment is used to determine if the anticipated benefits were realized. bringing their experiences to the new organization. 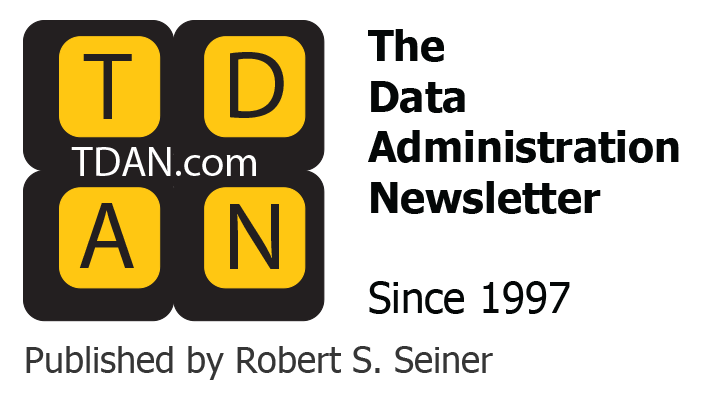 assessing data warehousing and why they employ the practices that they do. The insights are presented as propositions. the data mart strategy used at Boise Cascade. et al., 2000). The need for a warehouse was so great that ROI calculations were deemed meaningless, even though financial analyses are the norm in the financial services industry. practices as other firms in its industry to gain legitimacy and enhance the likelihood of its survival (DiMaggio and Powell, 1983; Teo, et al., 2003). industry structures and practices is gained through observation, the movement of personnel from one firm to another, consultants, conferences, and the like. subjected to ROI analyses. The practices at OM are consistent with those in its industry. value put and call options on stocks (Smith and McCardle, 1999). Companies recognize that the warehouse will support future applications, many of which are currently unknown. The best example of the applicability of options theory pricing is Owens & Minor. required. Once the warehouse was in place, additional applications surfaced that have helped OM become a leader in its industry. that the warehouse was an integral part of the ongoing CRM business strategy. At Harlequin, “the benefits (of the warehouse) were obvious” and no ROI calculations were deemed necessary. necessary because it was viewed as part of the organization’s computing infrastructure. not typically viewed as part of the organization’s computing infrastructure. Consequently, they are commonly subjected to the organization’s usual assessment processes for new projects. and OM, all proposed new applications of the warehouse are subjected to ROI analyses. making ROI calculations is pointless. a business strategy to save the firm, this business need factor “trumps” all other factors and the warehouse will be quickly approved without ROI calculations. better understand the drivers and processes used for data warehousing ROI, and add to the growing body of research and knowledge on the topic.